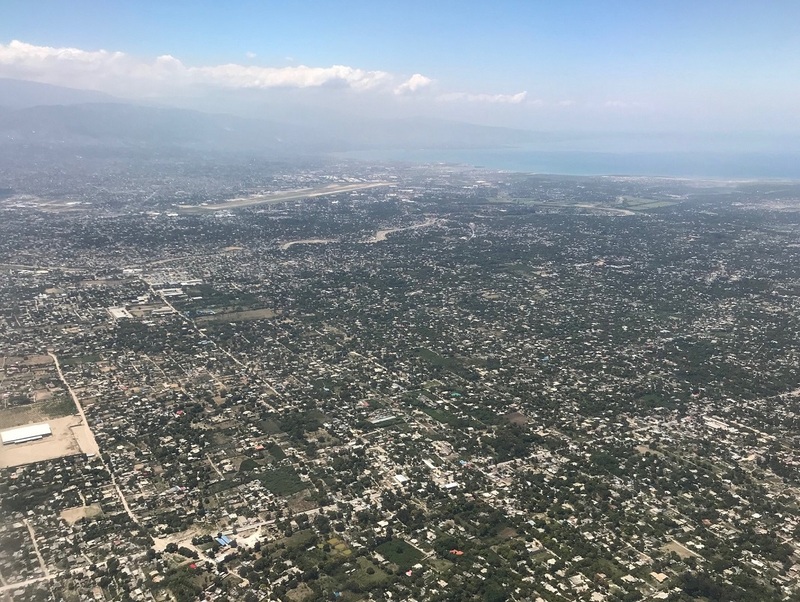 As previously discussed, Haiti is facing a lot of problems regarding its basic infrastructure, basic government services, and economic activity. In addition to experiencing an unprecedented earthquake in 2010, and facing severe hurricanes and heavy rains once every few years, the U.N. peacekeeping operations including military presence were in place for thirteen years in order to improve national stability and safety. An outbreak of cholera and the natural disasters above were all factors which led the international community to declare an enormous one-hundred billion yen disaster relief support in total. In this month’s column I will take a bird’s-eye view from Haiti’s vantage point and discuss the various processes and modalities for Haiti’s continued development and driving force behind its lift-off, and how to connect these with a resounding result; I will also talk about how many internal and external ‘actors’ are actually playing a part in all of this. Additionally, looking from the perspective of partner countries who are working together with Haiti, although the intensity of each country’s geographical, historical, and periodical background as well as their relationship with their own immigrant community and its trade, industry, and economic relationship varies, there are many different areas and many different magnitudes of cooperation and partnership, support, and economic relationships which are evolving. Japan has been in relation with Haiti in various areas, such as to promote bilateral relations between the two countries, and as a member of the international community. However, this column will be a general introduction into the international community’s efforts as a whole and its endeavors; I would like to talk about Japan separately another time. I have already discussed Haiti’s economic and social challenges, in other words, existing needs in Haiti, in previous columns. In response to these needs, the international community has each country and organization working in their field and area of expertise to develop policies which are becoming the basis of support and cooperation. The main pillar of cooperation is comprised of international bodies, donor governments, international NGO’s, and Christian as well as other religious organizations. In most cases, all types of cooperation and support directed to Haiti from the international community and foreign governments are managed at each country’s embassy in Haiti, or if it exists, by their development assistance agency, or a specialized agency within the U.N. or through the U.N. headquarters. In addition to the above, there are instances where international NGO’s act independently, as well as cases where they collaborate with local NGO’s, and even occurrences where depending on the contents of the international body’s and/or two countries’ support, the organizations will tie-up and undertake the job together. In developing countries, there is usually a ministry that is in charge of grasping the big picture of developmental issues that reach across various sectors, in addition to sorting out what countries, organizations, etc. have potential to offer cooperation. It is also that ministry’s job to label the priority of national tasks. In Haiti, the Ministry of Planning and External Cooperation (MPCE) is in charge of organizing and labelling importance to the country’s various tasks. Haiti’s individual needs are kept tabs on by various ministries; the Ministry of Public Health and Population, Ministry of Education, Ministry of Agriculture, Ministry of Public Works, Ministry of the Environment, etc. These ministries work based on the President and Prime Minister’s policies, priority tasks, Haiti’s Strategic Development Plan (PSDH), and each specific sector’s development goals. These ministries work with countries and international bodies and their collaborative potential to develop cooperation projects and programs. Upon receiving proposals regarding projects and programs, the matters of upmost importance will go directly to a cabinet meeting, where all ministers, including the Minister of Planning and External Cooperation, attend. The matter is then discussed at the meeting, and once if it is adopted by the Haitian government, a simplified version of an international agreement (called an Exchange of Notes, or E/N) will be signed, and afterward is put into action. In 2012 under President Martelly, the Coordination of External Development Assistance to Haiti (CAED) was set up due to a need for a more continuous program after the Interim Commission for the Reconstruction of Haiti (IHRC) ended its role in helping rebuild Haiti after the 2010 earthquake and subsequent damages. Under the CAED, in 2013 the Committee on Aid Efficiency (CEA) held its first meeting, but due to government turmoil and a long election process the Committee did not meet for a long bout of time. Under the Moïse Administration, in October 2017 CAED’s activities were revived, and in 2018 the CAE met for the second time, displaying new ideas and priority tasks of the Moïse Administration. Since there is an extensive range and scale, meetings are organized in various domains among the donor countries in order to share information and to coordinate within the donor community. This framework among the Donor is called Technical and Financial Partners (PTF) and in the beginning the coordinating group G12 existed as the main cluster of countries, but afterward the number of members increased and became G12+. Besides the PTF, sector subcommittees are also organized. The Chief/Responsible of the economic assistance services from the Embassies and Organizations used to hold meetings as mentioned, and recently Directors (Ambassadors) meetings are also being put in place with an aim to share information and coordinate smoothly. Alongside with the donor community, by Haitian government's ownership, there are sectorial coordination meetings with the leaders of each ministry and sector (Tables sectorielles) which are integrated into the entire process and adjusted and operated accordingly. As per the following, a comprehensive amount of support is being carried out in Haiti. Haiti needs improvement in terms of its tax and customs revenue, balancing its public expenditures, as well as improvement in spending its various types of subsidies. A simple element will be making and keeping ledgers, managing and controlling active sites, improving the lineup of machines, and educating and training people in leadership positions. Looking at it from a bigger picture, large measures to improve and enact legislature to modernize rules and regulations in order to use time and resources more efficiently (structural reforms) are necessary in certain areas. In general, in order to deal with mid to long term supportive budget and try to lead structural reforms, we will need to tie-up with the International Organizations and in that case, we need to put the specific aims and strategies. However, from the government’s viewpoint it is necessary to have an exit strategy for its unpopular policies and measures, including conditions and incentives. The government and large lenders must hold many discussions together and set a concrete itinerary on how to achieve these goals and continually verify with each other on the progress of achieving said goals. For example, in July 2018 the EU pledged to give thirty-five million dollars in technical and financial support to Haiti. The World Bank (WB) has set up a special grant aid cooperation outline that is focused on improving macroeconomic support measures, such as finance management improvement and social expenditure management. The Inter-American Development Bank (IDB) has also set up similar grants for Haiti granting large support; the International Monetary Fund (IMF) is also looking to give financial support to Haiti in various areas as well. While it is an important goal to have administrative functions working effectively, in economic development each sector and cross-sector’s management and operational skills hold the key. These things are also important in macroeconomic support, and Haiti is not an exception in this end. The cooperation in capacity building areas such as reinforcing its government functions and framework, its system and organization, and its human resources across all sectors will be very effective. Large-scale infrastructure such as long-distance arterial national roads, irrigation canals, power grids, sewage and water supply system, dam construction, airport and port construction and expansion are the infrastructure construction projects that require a higher budget, and most times it will exceed a single donor country’s usual allocated capacity to cover the costs by itself. The World Bank，IDB, and IMF are institutions that provide such support, with cases where these institutions also co-provide such funds. In addition to the abovementioned structural and micro outline of support and cooperation, a large area spanning individual sectors in various categories is covered by support. Not only does the government provide support for these sectors, but international NGO’s and groups are also playing a major role. I have outlined the health sector as an example below. The health and sanitation sector is one that touches the basic needs of the population. As part of the UN’s 2030 Sustainable Development Goals (SDG’s), it has named "Ensuring healthy lives and promoting the well-being at all ages” as its third goal, and as its sixth goal “Clean Water and Sanitation to all”. The U.N. has made these goals evident and detailed; Haiti is in great need of such support, therefore this is why Haiti and many organizations are cooperating in the health and sanitation sector. 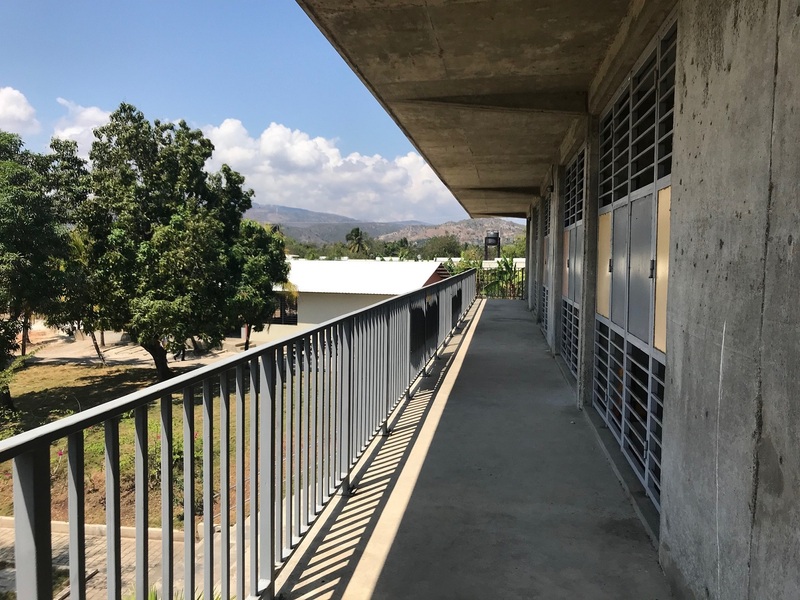 On the medical front, Haiti is envisioning the increase of municipal health centers alongside a new system to move patients needing complicated and/or difficult medical care to top-level hospitals. This entails assuring a medical referral system for top-level hospitals by Department. Support and cooperation for this large-scale project is already under way with the United States’ USAID (U. S. Agency for International Development) giving aid to the capital area’s Hospital of the State University of Haiti (HUEH, co-funded also with Haiti and France) as well as the Mirebalais hospital in the Centre Department. Canada is supporting the Gonaïves hospital in the Artibonite Department; Japan is teaming up with the Red Cross of the United States and Canada to give support to the St. Michel hospital in the city of Jacmel, capital of South-East Department; Brazil is giving aid to three hospitals in the capital area. There are many aspects to consider for the above hospitals to function properly; firstly, the infrastructure such as hospital structure, electrical supply and backup, cold and hot water supply, sewage and waste handling, medical equipment, medicines, ambulances, other types of equipment and furnishings, and consumable supplies. Apart from these, it also includes human resources to assure diligent doctors, nurses, and staff, and also establishing and maintaining a bill collecting system which supports the establishment of an independent operational management system is necessary. Additionally, in Haiti where the provision of hospital food is not common, a lot of effort is being applied to improve the situation by the Ministry of Public Health and Population in joint effort with each department’s operational management team. Hospital management and its supervision, let alone the medical aspect, all require knowledge and experience that comes from accumulation over time, which means that mid-to long-term specialist and nurse training systems will play an important role. Aside from hospitals, regarding cholera and other infectious oral diseases stemming from the sanitary condition of drinking water, the Ministry of Public Health and Population along with the Water, Sanitation, and Hygiene in Haiti (WASH) is also working with many other international partners in their program. The following are rough outlines of international cooperation in the main sectors apart from the public health sector. For example in the education sector, the International Monetary Fund (IMF), UNESCO, UNICEF, Spanish Agency for International Development Cooperation (AECID), U.S., E.U., French Development Agency (AFD), Canada, Japan, and other countries are giving assistance to Haiti. All types of career training are also aided by the UN, Brazil, Switzerland, Chili, South Korea, and others; Canada, Switzerland, Japan and others are also involved in building and repairing schools in Haiti. 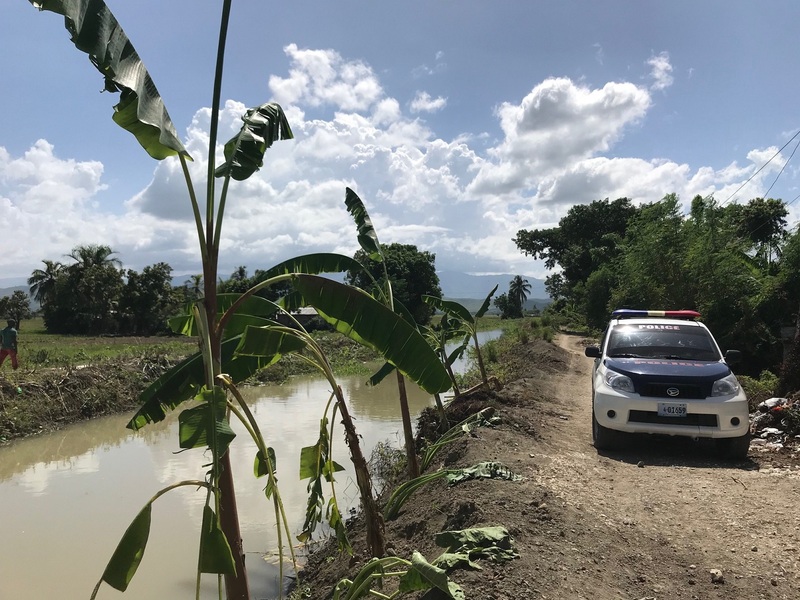 In the agriculture sector, the IMF, U.S., AFD, and Switzerland among others are cooperating with flood control in flood-prone areas, expanding the size of and modernizing the agriculture sector, and implementing irrigation systems. The IMF and Switzerland are examples of those cooperating to upkeep national parks; aid for the promotion of smaller fisheries by the IMF; the AFD is providing medium-term loans to people who want to start or want to continue business in coffee and cacao farming; the U.S., Canada, Switzerland and others are providing aid for farming start-ups; the World Food Program (WFP), Brazil, the U.S. are others are promoting local production and local consumption efforts and backing school lunch programs which support a stable income for farmers; Chili and Japan are examples of countries who provide technical job training in the farming industry. In the legal sector, MINUJUSTH (United Nations Mission for Justice Support in Haiti), UNDP (United Nations Development Program), the U.S., Canada, the E.U. and others are involved in strengthening the capacity and increasing the size of the police force in order to maintain public security, which is a prerequisite for all of daily life and economic activity as well as the judicial system. The OAS (Organization of American States), Canada and others are involved in creating a personal identification management system that will help to not only make certain processes of daily life easier, but also help make election processes smoother. In the economic development sector, the IMF, U.S. and others are giving aid to the Caracol Industrial Park (CIP); the industrial sector is the driving force behind the economy as a whole, and supporting CIP is thought to lead to increasing employment. The U.S., EU and Canada are also a few examples of nations supporting small-to mid-sized companies. In the environment sector there are also many challenges; the IMF, Japan, and the UNDP are working in solid waste processing. The U.S. and others are helping with reforestation and its positive repercussions, such as improvement of water-holding capacity, etc. The infrastructure sector contains multiple aspects as well, but first and foremost is the Energy sector which is the key element to improve citizen’s daily life and also to maintain and develop industries, where the IMG, BID (International Development Bank), Germany, and others are involved in repairing the Péligre Dam. The IMF and BID are also working on repairing the Port-au-Prince power grid; the IMF and others are working on repairing the Port-au-Prince electrical grid, and the U.S., EU, and Japan among many others are helping with the rural power grid development. In addition to this, France, Switzerland and others are giving renewable energy-related support, and Taiwan is involved in the metropolitan area power grid maintenance. The IMF, EU, France, and others are actively working on building roads to improve domestic transportation, which relies mainly on highways. The question of guaranteeing potable water and sanitation as fundamental elements of a healthy life seems to be having much attention because of the outbreak of cholera, and the lack of suitable drinking water and sanitation is becoming a serious problem. As I have mentioned above, under the WASH program, UNICEF, PAHO/WHO, United States, Canada, Chili, Japan, and other nations and organizations are involved in solving this problem. 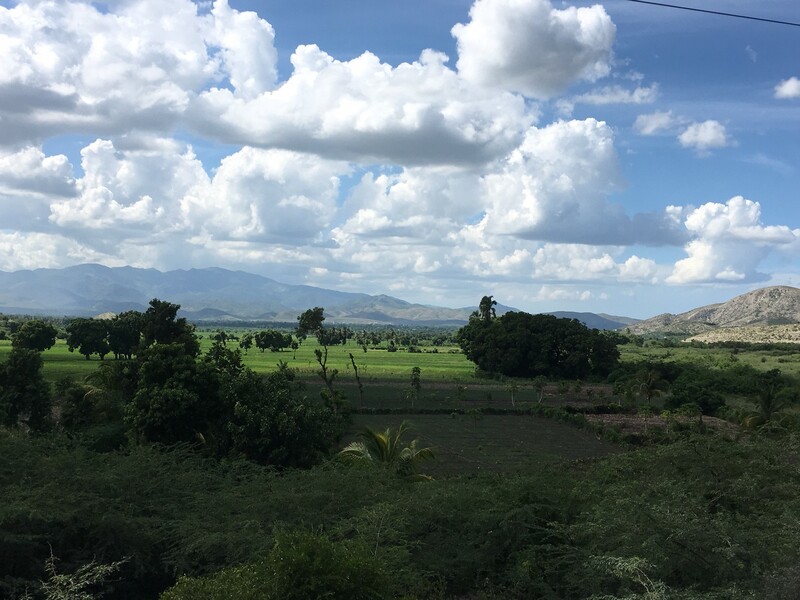 In the capital Port-au-Prince area the IMF, IDB, Spain, and other bodies are helping to improve drinking water and sanitation; in the rural areas the IMF, IDB, EU, Spain, United States, Switzerland, Japan, and others are involved with solving the above problems. Due to Haiti’s vulnerability to natural disasters and their impact, as well as post-disaster, involvement in Disaster Prevention, risk reduction is of the upmost importance. The EU, UNDP, Canada, United States, Switzerland, Japan, and other bodies are involved in disaster risk assessment and hazard mapping among other activities. 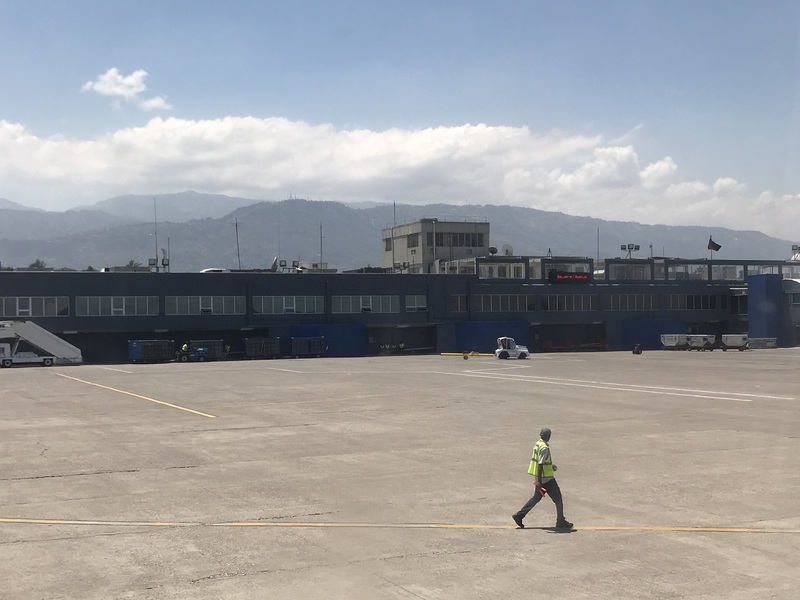 In addition to the above sector, the EU and France are involved with metropolitan urban area planning; Spain, Canada, Switzerland and others are helping with decentralization of the government; the IDB is involved in encouraging the extension of the international airport in order to promote business and tourism in Haiti; the EU is helping to improve the national border with neighboring country; finally, the United States is giving support to improve ports and other points of access in order to lay the base for trade promotion. The above outline of international cooperation does not cover every aspect, but is a general overview to help get a better understanding of the bigger picture of what is happening in Haiti in terms of aid. In this scope, each participating ‘actor’ does not necessarily stay in the same role the entire time; numerous people driven by a sense of mission and supported by funds (at times troubled by lack of said funds) are involved in helping Haiti. Additionally, as introduced in my previous column, there is also much support from many countries to support democratization providing cooperation in varied forms for presidential, senatorial, and local elections. In addition to receiving regular development aid, due to the severe 2010 earthquake and destructive hurricanes which hit Haiti almost every several years, Haiti has had to accept emergency humanitarian assistance and relief support a number of times. This relief support will be triggered with the Haitian government’s request to foreign governments for emergency aid and funding, and followed by medical, foodstuff, and other goods support with the help of international organizations and NGO’s of various sizes. In the disaster-hit areas, the government must cope with the maintenance and resume administrative functions, understanding the magnitude of destruction, determining the order of priority, logistics for receiving and distributing relief aid and supplies, all in a short amount of time. It is not an easy task for the National Emergency Operations Centre (COUN) and Departmental Emergency Operations Centre (COUD) to function under the Ministry of Interior and Directorate for Civil Protection (DPC), and to integrate various international aid in a coordinated manner during times of calamity. There is also a possibility of causing miscommunication between existing international organizations and domestic/international NGO’s, who provide emergency assistance; this may be due to the fact that there will be a possibility to have a huge amount of humanitarian needs which is not easy to assess and the possibility of having no independent and functioning system of command in the case of disorder and chaos immediately after a large-scale disaster at the time. Additionally, Haiti is facing a harsh reality in terms of delivering relief supplies equally and instantly to a wide-spread area of disaster-struck regions. It is difficult to pin the blame on any one factor in particular, as geographical, infrastructural, and scale-related factors are all in play. In order to deliver supplies, vital routes could be cut off and/or bridges could be fallen down, which causes total or partial isolation from disaster-stuck areas. Another factor is the danger or difficulties which supports might face during transport of supplies, since throngs of people tired of waiting for relief goods passing through their town to a further destination or total undeliverable situation. There are a number of other problems relating to relief support that are not necessarily particular to Haiti. For example, the estimated amount of damage (number of deaths, injuries, etc.) is broadcasted publically, giving way to a difference between the news and data compilation base, or the reality where the needs of the site override any governmental or other system of command. Another example is the perceived dilemma of victims who are living in tents as temporary shelter might settle down and not relocate, slowing down the reconstruction progress; one more example is experiences from the 2010 earthquake with fragile reinforced concrete buildings that in fact lacked the proper amount of steel reinforce collapsing and causing serious damages, leading to the blind belief of many that buildings made of reinforced concrete are unsafe and therefore dangerous. In order to prepare Haiti for the inevitable occurrence of natural disasters, discussions continue daily on the ideal direction of emergency aid development and the strengthening of disaster prevention. When looking into the state of Haiti’s development aid, it also simultaneously leads into looking at developmental challenges of developing nations and problems surrounding those challenges; it is also necessary to think about how the international community should be involved as well. It is also important to not look at only the positive success stories of the above, but also the negative sides of “aid” and “cooperation”; it is also noteworthy to put the light to Haiti’s case where such negative scenarios tend to be associated with Haiti as the subject. As you may already know, although the idea started out with good intentions it does not necessarily end up as so; the documentary “Poverty, Inc.” talks about various angles of “support” and “aid”. The movie talks about the “good” notions of charity at a glance, and how it actually plays out on site, and provides an interesting look into if it can have an effect on the countries receiving such aid; it also talks about Haiti as a living example. I believe the comment regarding no one wants to live in poverty, and no one wants to keep receiving charity from others, in relation to people’s dignity and thus the ideal state of a sovereign nation is a natural one. In another movie “Fatal Assistance”, the internationally-acclaimed Haitian film director Raoul Peck delved into the question of the ideal use of funds for reconstruction after the 2010 earthquake, and also examines the monetary and technical sides of how the aid was not always functioning as intended, while at the same time talking about the merits and demerits of misusing the funds in name of relief support and foreign nations’ involvement in Haiti. The reality is that Haiti is in difficulty and needs support, and what is more powerful than the individual’s intent to help is the collective feeling of cooperation; Haiti was ridiculed as being an “NGO republic” in this market of charity. However, right now Haiti is saying a strong “No” to anyone who does not intend to build a serious partnership with Haiti in helping the country take off. According to the logic of those providing aid, Haiti has reached an inexpressible peak of irritability with bodies who act as if they are giving aid but who are in fact not giving said funds; duplicate funds that are lost in transaction; goodwill and funds for free that come flooding into and disrupting local businesses and economies and eventually returning to international organizations and do not find their way to Haiti; and also upset by small and large instances of taking advantage of Haiti’s terrible state to abuse aid funds. Even if Haiti is sometimes said to be lacking in structure or governance in order to receive and manage supports, it is obvious that the support going to Haiti should arrive at its intended destination and be used for its intended purpose and not produce any non-corresponding results. Furthermore, taking into the consideration the international community and individual countries base on its political and diplomatic backgrounds, and also on the inseparable ties of people, goods, culture, and economical elements that are connected. It will be a continuing challenge for Haiti to think about in what ways it wants to develop and maintain relationships in the international community with the base stance of “we don’t want aid, we want a true partnership”, and also for the international community to determine how they would build further action and cooperation. 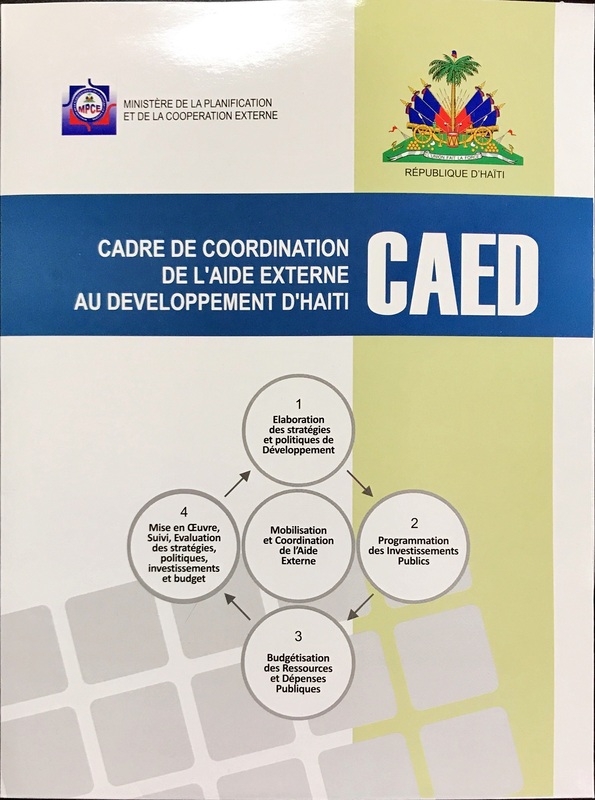 Regarding the previously-mentioned CAED (Coordination of External Development Assistance to Haiti) and President Moïse clearly stated, while cooperating partner countries’ collaboration and support is indispensable for Haiti’s development, in the implementation of cooperation projects and programs with Haiti, donors should align to the seven priority areas set by the government and respect the national procedures by going through dialogues between the parties. During the first CAED a similar elementary plan was outlined, but this shows a message with a deeper reflection and outlook on Haiti’s needs. Meetings upon meetings are taking place between the Haitian government and its partners to ensure the efficiency and effectiveness of implementation of aid and support to Haiti.